We're showing information for 91763. Customers and consumers are more educated about their purchasing options than ever. They will only invest time and money in companies that offer the best products, services, and buying experience. This means that California business owners have to work harder than ever to remain competitive. Having a fast, reliable Internet connection will set your Montclair, California up for success. Fortunately, Frontier Business packages give you the Internet access and phone connections you need to quickly reach clients and employees. Business High Speed Internet is just one of the useful resources that come with business packages. In The Golden State, business success relies on a solid infrastructure. Frontier’s services for small business include tools to help your company acquire new customers, build partnerships with other businesses, and recruit qualified talent. Thanks to services like Managed IT, Conferencing, and Texting, you’ll be able to make and maintain key business relationships and connect whenever you need to. Frontier’s secure and protected network means you can breathe easy when you promote new products and communicate with team members. Frontier’s Web Development and Hosting Services are useful solutions for giving your business a stronger presence online. With Montclair’s projected job-growth rate of 13.62 percent Frontier can help you attract the attention of top-quality employees. California’s economy is the ideal atmosphere for business growth, but expansion comes with a unique set of obstacles. Large businesses need specific solutions to help them maintain consistent growth in a long term context. Fortunately, help is available with Frontier’s Enterprise Solutions. For starters, scalable Ethernet, on both Local Area Networks and Virtual Private Lines can help your company’s system keep up with growing bandwidth demands. Plus, with security being a hot-button issue these days, Frontier’s IP Virtual Private Network balances functionality with data safety by letting you access all your digital files over a secure IP connection. But having a system that can meet increased demand isn’t the only thing business owners need to keep up with the market in Montclair. 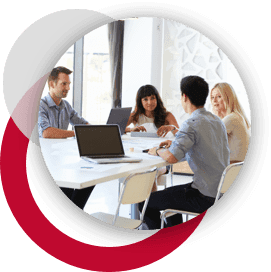 Connecting with clients no matter where they are in The Golden State is also important and Frontier Communications offers solutions for that too. With Centrex from Frontier you’ll have access to cutting-edge equipment and dependable telephone networks to keep you connected to customers. 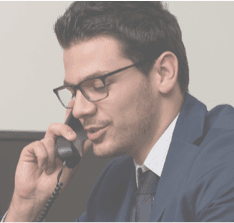 You’ll appreciate the crisp, clear, and dependable connections you get from Frontier’s voice solutions, while the Hosted VoIP solution gives you access to unlimited calls around the country. Plus, you’ll also get access to advanced technological benefits like voice-to-email integration along with standard features like Voicemail and Caller ID. Plus, Frontier takes care of the details like network design, managing equipment, hosting, and monitoring, leaving you more time for your customers. In 2013, there were 0 reported cybercrimes in California. Don’t let your business join next year’s statistics. With Frontier Secure, you have the tools you need to protect your information online. You get malware and virus protection, cloud backup for your data, and exceptional customer support. In addition to helping protect your assets online, Frontier also has a variety of equipment replacement programs available to California business owners. On top of that, Frontier provides business Internet connections that can reach up to —definitely an improvement on California’s average speed: 37Mbps. With a quicker Internet connection, you won’t lose time waiting for websites to load or waiting for shared files to download—instead you can spend your time on the things that matter like answering client questions, promoting sales, and creating plans for the future.